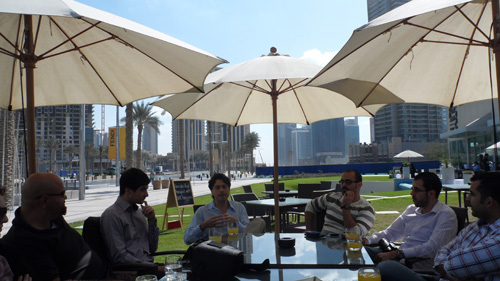 Had a great time today mingling with fellow bloggers at the Pavilion in Downtown Dubai. It's great to have received an invitation for this pioneer casual get-together with the coolest people from Google Middle East & North Africa. We started by introducing ourselves and what we blog about. 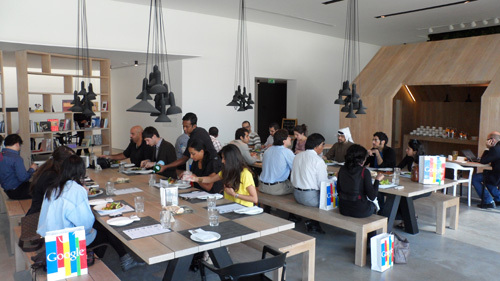 With us, and hosting the lunch is Google MENA Managing Director, Ari Kesisoglu and Google MENA Communications Manager, Hind Rasheed. It's interesting to know that among our small group, only a couple or 3 uses Arabic language primarily for their blogs. Reasonably, readership is a valid factor. Like here in Dubai, our target audience are mostly comprehensive in English. The demand for the information we provide comes largely from people who at least understand English, expats. There would be a huge difference though if we talk about MENA region. We've also talked briefly about smart phones being an accomplice of improving the way people access information. After about half-hour of getting-to-know-you under the lovely noontime weather, we went to the auditorium to listen further and see what Google has to say for the blogosphere in the region, and more to that. Google doodle on the blackboards, Google bean bags, the "g" replica, and the Google goodie bags, all these denotes that we're up for some fun and very interesting discovery. Ari shared more interesting facts. The MENA region has a population of 350 million, and yet only 85 million are online. Though, there are about a million new internet users per month in the region. Basically, what Ari wants to convey is that Google simply wants to change and improve the way we do things (they've been doing it since 90s yeah). It's about "organizing the world's information." Hence this dialog is to learn what kind of contents we deliver and consume as well. 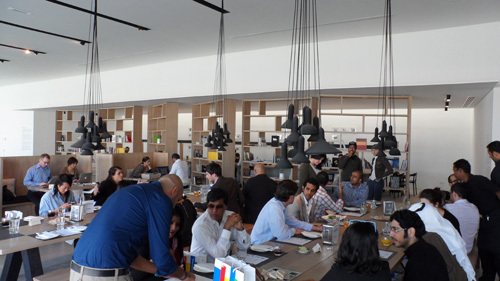 Maha Abouelenein, Head of Communications of Google MENA, also shared lots of exciting ideas. She refreshed us with figures about Google Chrome, Youtube, Android, Google Plus and Hangouts, etc. We briefly looked back at how Egypt utilized the internet during the difficult times. One of the most interesting topics she discussed is Search Plus, which I've just learned at the beginning of this year. Simply said, Search Plus is about personalizing your search. When you opt for that, you will be provided with information that is most relevant to your profile - to who you are in Google Plus, and to whom you are connected to - your relationships. You will basically receive results that is close to your online community. 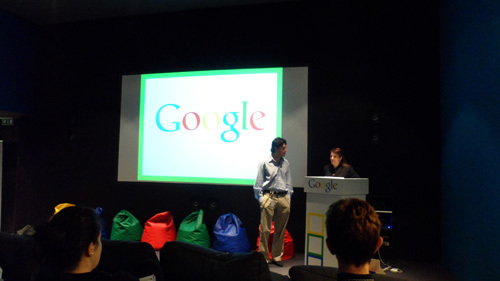 The Google Media Academy is another great initiative she talked about. 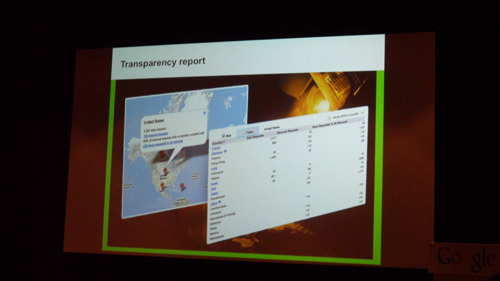 The project is about educating users on how to maximize the use of Google tools. At the end of the presentation, they emphasize Focus on the user, Empowering others, and Be a force for change as their main principles. 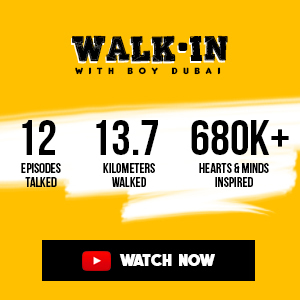 Farrukh of Copywriter in UAE, asked a very interesting question about, how Google can help in shaping the importance of bloggers to be in the loop - to be recognized and be involved in the immediate community. I share the same. Bloggers in this community alone still were not being considered as huge content vehicles by many product launches and events. Like journalists, we also want to cover events and access the same contents to share with our readers. Even more, bloggers would most likely be honest and impartial to what they feel and what they want to say. Still, access is limited. Recognition is lacking. 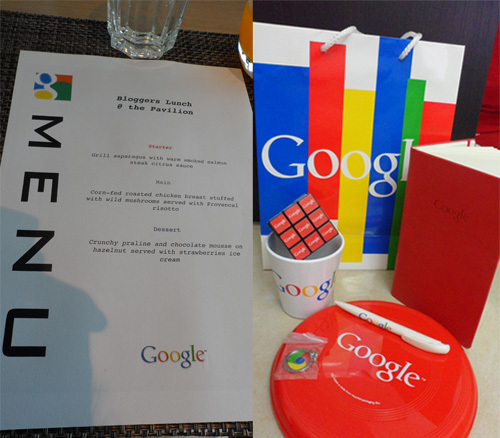 We were served with sumptuous lunch (starter for me) after the session. Unfortunately, as much as I really love to stay, I had to leave early to attend to a meeting. I've finished my appetizer anyway, so I'm not empty-stomached :-). I was able to ask Maha few questions. I wanted to know why Blogger seems just always a runner-up to Wordpress. Even with the recent upgrade, the templates weren't as usable and sociable as that of WP. I love the new back end UI though. Widgets and plugins game is still being won by Worpress. As an avid Blogger fan, I would definitely love to see more great developments with this platform. Regardless, I'll always be happy with Blogspot - thank you for the instant search rankings. Glad to see Samer of "the one with the carrot on the logo" Jazarah. Shame, I didn't had enough time to meet everyone. I'm already looking forward to the next. This is great! Can we do this monthly? :-) Hopefully the next one's will have more bloggers in. 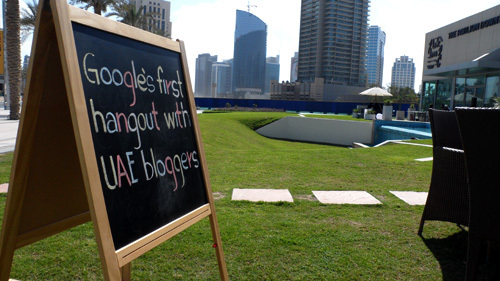 Let's finally build the blogosphere here, Google MENA!